Stainless case and caseback with gold color bezel and accents. Running on the 2423.10 stepping motor quartz S.M.Q. movement; with Accuset feature. Crystal is oval shaped. Dial has a satin face with gold color hands and accents; Dual-Day day and date window. Inside caseback stamped T-3745 Taiwan; no serial number stamped anywhere. Matching Champion two-tone stainless band with tuning fork symbol on buckle clasp. Wow that is in beautiful shape! I don't see any ad spicific to this watch either. I'm good with Accutron Quartz ID for now. 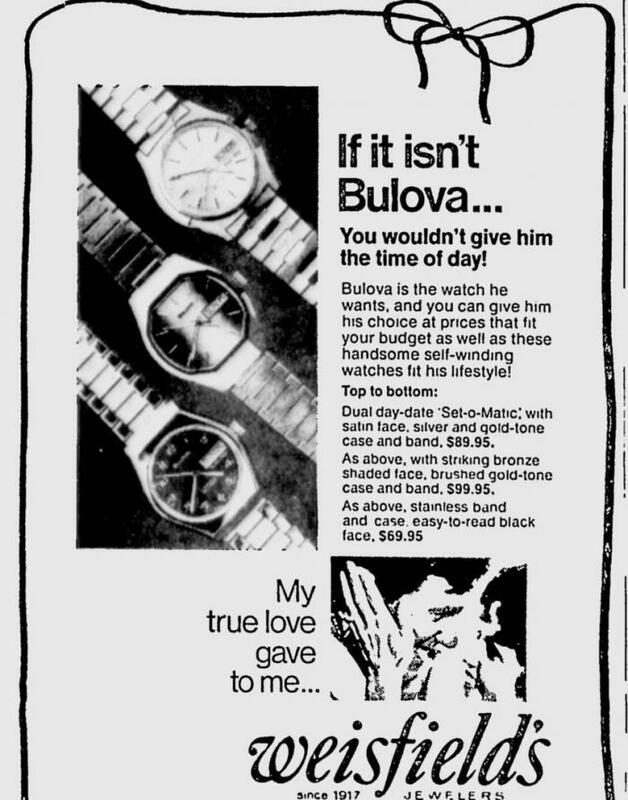 If there was any evidence suggesting Bulova advertised these quartz by subsets "day and date" or "Calendar" as they do with Accutrons, I'd say we could consider adding that info to the generic ID. At least that info is in the record, if not the ID title. I think the "Dual day-date 'Set-O-Matic"' text in the linked ad is referring watch functions/features, not a model name. Bulova Accutron Quartz with the Accuset feature. Very clean and crisp. Sweet looking watch Ken. Looks new ( as usual ).